The Windows Messenger app for the iPhone has spread like wildfire with over one million downloads in less than a week. A Microsoft spokesperson said: "This early momentum is fantastic and we really appreciate the feedback that we have been getting. Microsoft look forwards to updating the iPhone app shortly to address some of the issues that users have pointed out, so that we can continue to improve the experience." Having initially seen the MSN product fall down the pecking order with the arrival of social networking sites like MySpace and Facebook, the Windows Messenger app has including social networking aspects like status updates and a photo album. Initial feedback from the industry has praised the app for being well-designed and easy to use. 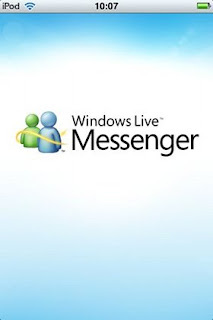 Not only is Windows Messenger available through this app but there are millions of people who are connecting with Messenger friends on mobile phones through a browser, client application or SMS. The download is free so it can't hurt to have a look. 0 Response to "Spread the word about Windows Messenger"